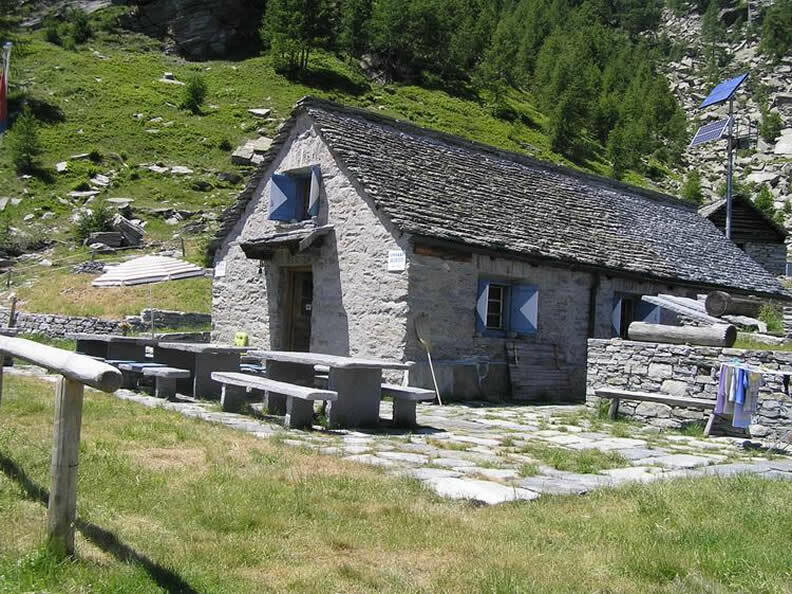 The typical Ticinese stone building defined by rural simplicity is situated in the Maggia Valley at 1,734 meters. 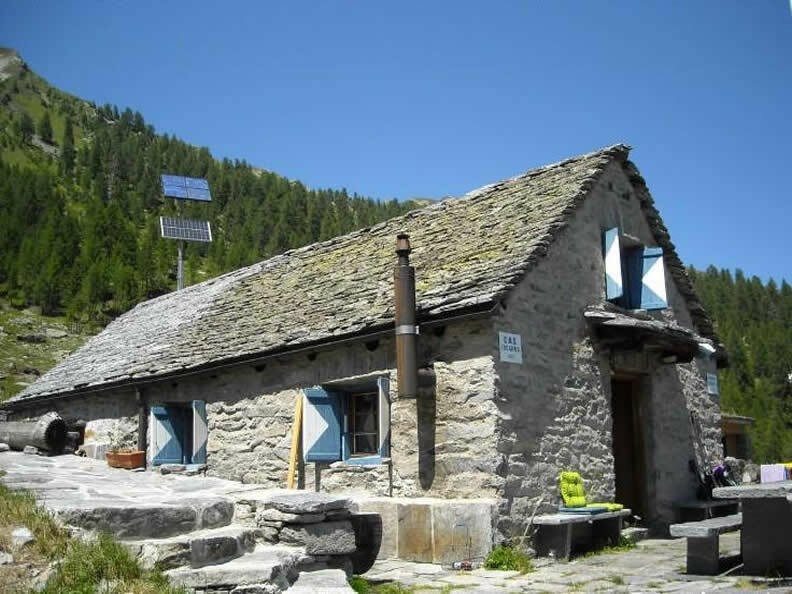 There is a fully equipped kitchen with running water, wood-burning and gas stove, 25 beds (with down comforters) as well as a common rooms for 30 persons and a WC with washing facility. 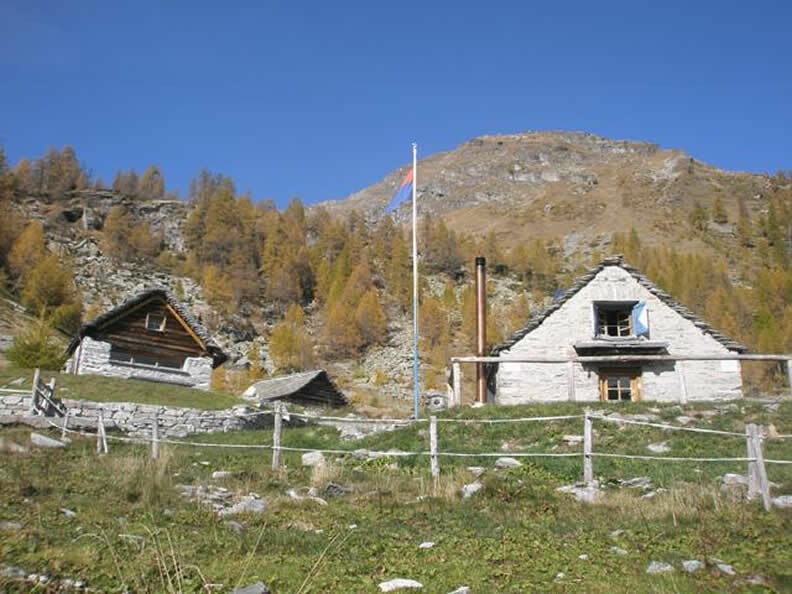 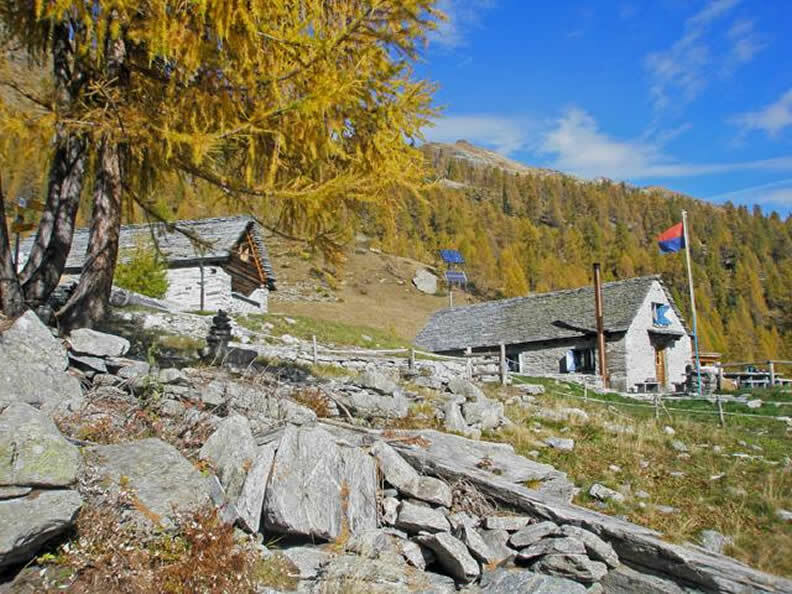 All ascents take four to five hours, the Alzasca Hut is an ideal starting point for numerous hiking tours from valley to valley.